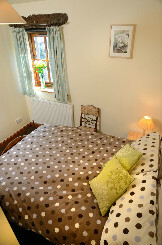 Holiday cottages sleeping up to 16 people. Set in the heart of South Lakeland farmlands and gentle rolling fells, the quiet village of Heversham is a rural sanctuary. Teeming with wildlife, oyster catchers and herons occupy the nearby estuary, whilst wild deer and magnificent stags provide picture postcard views at the local trust parks. 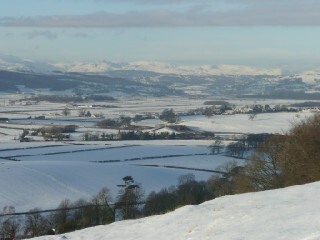 Walk from the Cottages for stunning views, or to the local pub for a refreshing drink and meal. All this is within a mile. 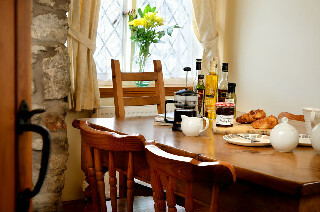 Olde Blue Bell Barn is a warm cottage with a south westerly aspect. 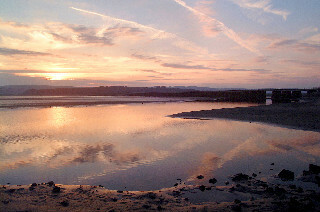 It catches the sun from early in the morning through �til dusk, and witnesses stunning sunsets over the fells and Kent estuary. 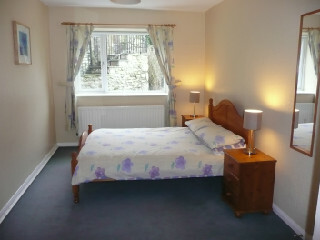 It has 2 bedrooms, a double room with walk in wardrobe and a twin room. The double room can easily take an extra single bed, which we provide as a full size single mattress on a folding pine base, and there is a cot if required. 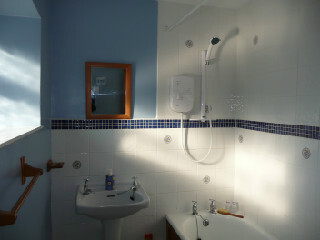 The bathroom is equipped with a large bath and electric shower, and tiled in clean ceramic white and blue. A combined lounge / dining room and separate kitchen are located on the upper floor to allow full benefit of the views and evening sun. A pitch pine wooden floor has been laid throughout, with furnishings in warm hues to blend with the natural wood colours. 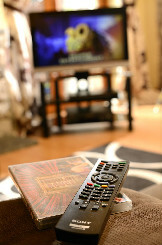 A television with digital reception, video, DVD player, and a mini hi-fi with radio, tape and CD facilities are provided. There is also a wireless internet connection for your computer. 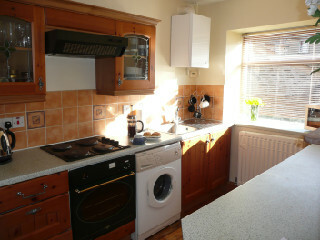 The kitchen is newly equipped with a fridge and small freezer, microwave, washing machine, electric cooker and hob. We keep it stocked with all the basic provisions you need to make holiday cooking a little easier. Full gas central heating, which can be thermostatically set to a temperature of your liking, ensures Olde Blue Bell Barn is cosy at all times. 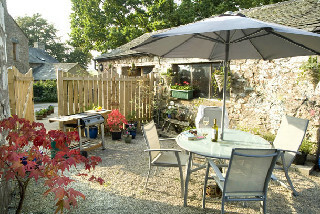 There is a patio area for breakfasting in the morning sun or BBQ�s. 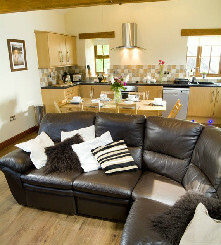 This cottage is ideal for families, as there is a small play park for children in the nearby field. We also welcome pets in this cottage. It has 3 bedrooms, a double and two twin rooms. 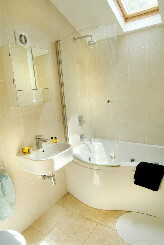 The bathroom is equipped with a large bath and powerful shower, and tiled in clean ceramic white and blue. The downstairs comprises a spacious lounge and a seperate kitchen-diner. A mixture of stonework, wooden beams and natural wood has been used to give a relaxing yet rustic feel. 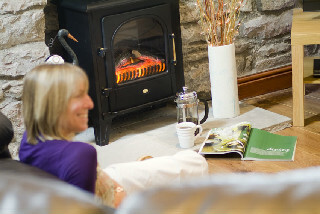 A cast iron, coal effect gas fire makes the lounge a really cosy room in which to unwind after a day on the fells or touring the lakes. A television with video and DVD players, and a mini hi-fi with radio, tape and CD facilities are provided. 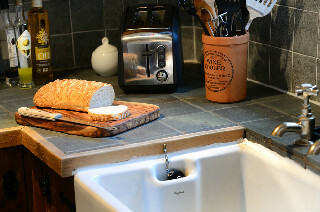 The kitchen was hand crafted by a local joiner, and is equipped with a microwave, washing machine, a fridge with small freezer compartment, and an electric cooker and hob. We keep it stocked with all the basic provisions you need to make holiday cooking a little easier. Full gas central heating ensures the cottage is cosy at all times. There is a patio area for breakfasting or BBQ�s. A luxurious 18th century barn conversion, The Coach House combines character with contemporary chic. Tiled in natural limestone with under floor heating, the ground floor comprises 3 bedrooms; a double, a twin and a bedroom with full size bunk beds. Each bedroom has its own thermostat for individual comfort. There are 2 bathrooms, the main bathroom is equipped with a Jacuzzi bath and powerful shower, and there is an ensuite shower room for the master bedroom. Both bathrooms have a toilet. Recessed spot lighting has been used throughout to provide softer lighting. 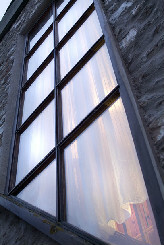 Natural colours have been used to give a relaxing environment. The upper floor is an open plan lounge kitchen diner, with oak beams and stone walls, light and airy with fabulous views. A rustic oak laminate floor and leather suite add a contemporary feel. There is a flat screen TV with a whole range of digital channels, and a DVD player. The kitchen is newly fitted and equipped with an electric oven with halogen hob, an extra quiet Bosch dishwasher, combi microwave and fridge. There is also a separate freezer and washing machine. Colour changing lights, and blue spot lights on the stairs and kitchen plinth provide special mood lighting for the evenings. The kitchen is kept stocked with all the basic provisions you need to make holiday cooking a little easier. 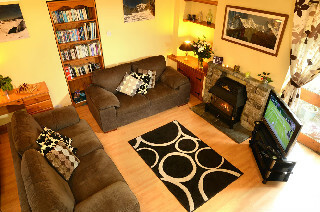 Full gas central heating ensures the cottage is cosy at all times. 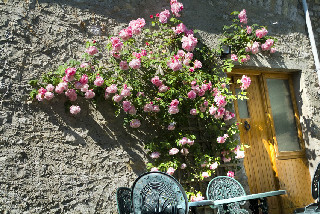 There is a courtyard garden for dining al fresco and BBQ's. 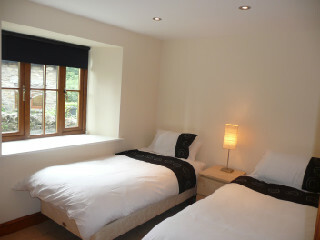 Excellent Accomodation, set in beautiful surroundings. "This is a beautiful Coach House which is extremely comfortable & homely.The facilities are fantastic & there is everything you need for self-catering. It is spotlessly clean & is finished to a high standard. There is adequate space for 6 people to sleep (including 2 chilren in bunk beds). 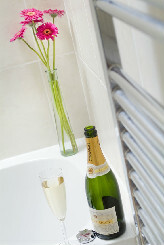 The under-floor heating ,mood lighting & jacuzzi are lovely touches & make your stay more comfortable. It is set in a very quiet village with a playground a stone's throw away for the little ones to enjoy. 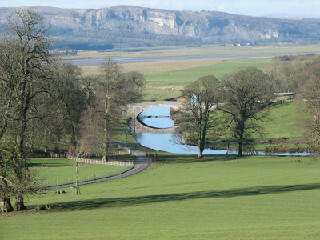 The area has some lovely walks & is surrounded by lots of places of interest, Leven Hall & Sizburgh Castle to name a few. 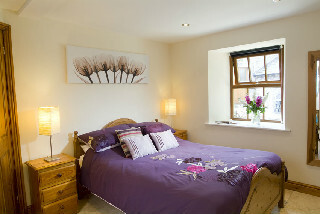 We had a very relaxing & enjoyable time at the Coach House & look forward to returning soon." 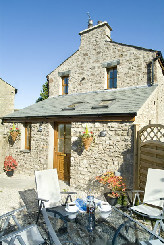 "We had three nights in this lovely coach house and wished we could have stayed longer. 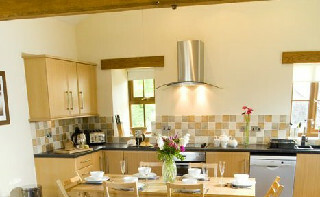 The living and kitchen area is all open plan but retains a real cosy welcome feel. Mary, the owner, could not have been more friendly or helpful. 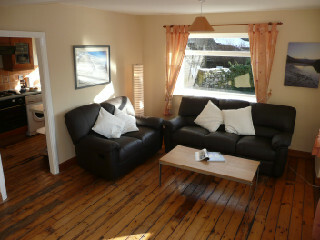 The house was exceptionally well equiped and tea/coffee and biscuits that was left for us on arrival was a lovely touch. The house was really well located for lots of different touristy days out and some amazing walks (including one up to the top of Heversham for stunning views which can be done straight from the front door). 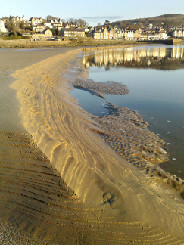 We would definately stay here again and hope to be back soon." 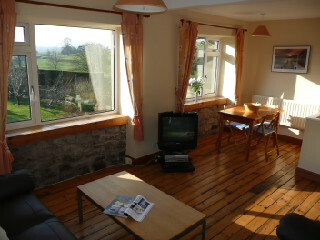 "A lovely cottage, with beautiful local walks to watch the sun set over the Lake District. 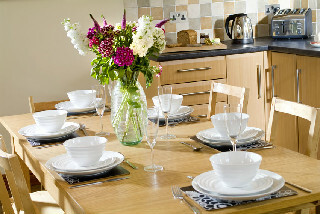 Mary was very friendly and we were always able to get the tips and tricks to make the most of our time away.�"
"A lovely stay in this spacious and perfectly furnished cottage, with quick and easy access to the most scenic spots in The Lakes making for a perfect weekend break." "We had a fantastic time - obviously staying in The Coach House was the icing on the cake and a memory we'll keep for some time. 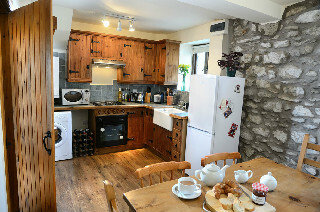 With the close proximity to the lakes and local amenities available close by, we would highly recommend The Coach House to friends and family. We had everything we needed for a lovely relaxing break... The maps, info pack and Marys' knowledge of the area really helped us plan for the coming days -it's great to have a local on hand to answer any questions!! :-) We felt very welcome and at home - can't wait till our next visit...."
The quiet village of Heversham is located in the picturesque South Lakes. There is a traditional pub in the village, just a 5 minute walk from the door, for a drink and meal infront of their roaring fire. 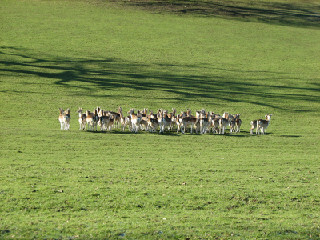 Surrounded by farmland, the area is excellent for low level walks or cycling. 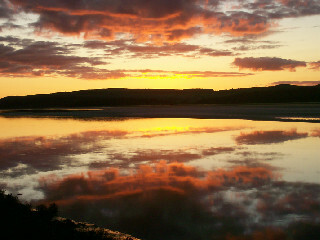 Walk from the door of your cottage up Heversham Head for beautiful views and stunning sunsets over the Lakeland fells and estuary. For fresh bread, a green grocer, family butchers, health food shop, newsagent, banks, post office and a whole host of other useful shops, the village of Milnthorpe is a mile away. The location is perfect for exploring the spectacular Lakeland scenery, as well as providing easy access to the Yorkshire Dales. 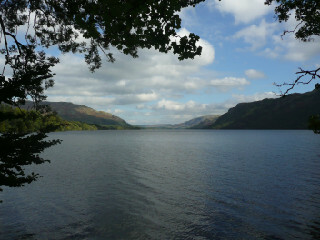 An ideal base for a whole host of outdoor activities or just chilling out! The price includes everything - all heating and electricity, bed linen is provided and beds made up, the kitchen is stocked with all the basic essentials to make your holiday more comfortable, and there is wifi access for the internet. We will also leave you a welcome tray with as much tea and coffee as you can drink to refresh you from your journey. Pets are welcome in both The Cottage and The Barn, for which there is no extra charge. There is private parking for all cottages.